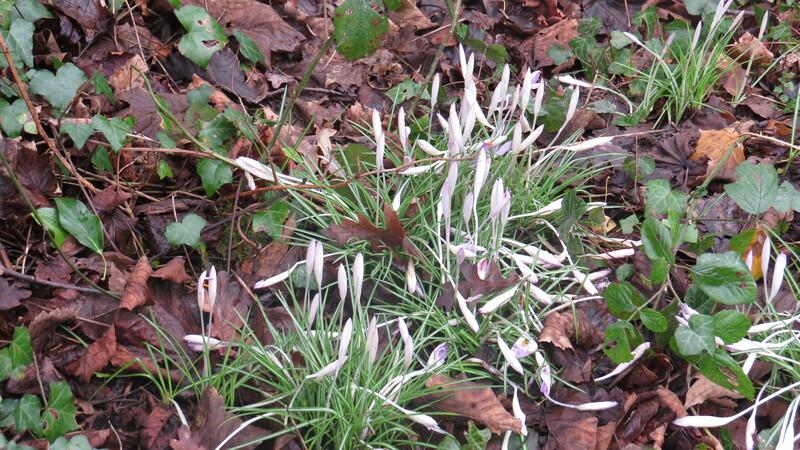 Dear Readers, close to the entrance of Coldfall Wood there is a tiny patch of Early Crocus (Crocus tommasinianus). How fragile this plant is, and yet how strong! It has burst through the hard-packed clay soil, sometimes lifting whole twigs and stones in its urge to reach the sunlight. 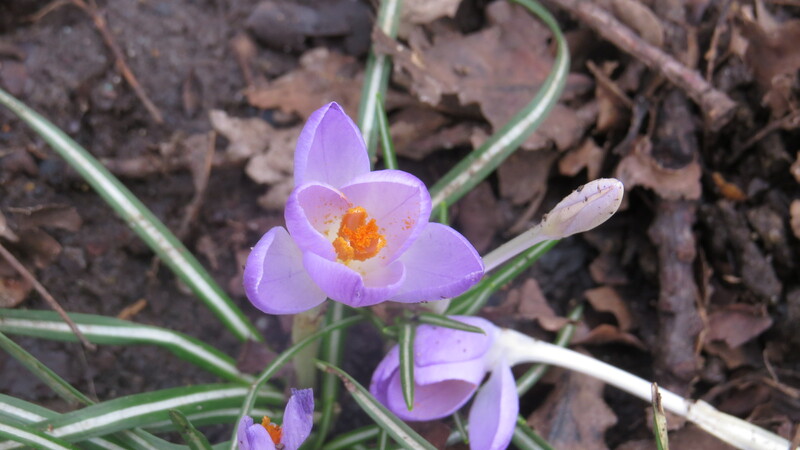 There are two very similar species of crocus that you are likely to see naturalised in the UK. 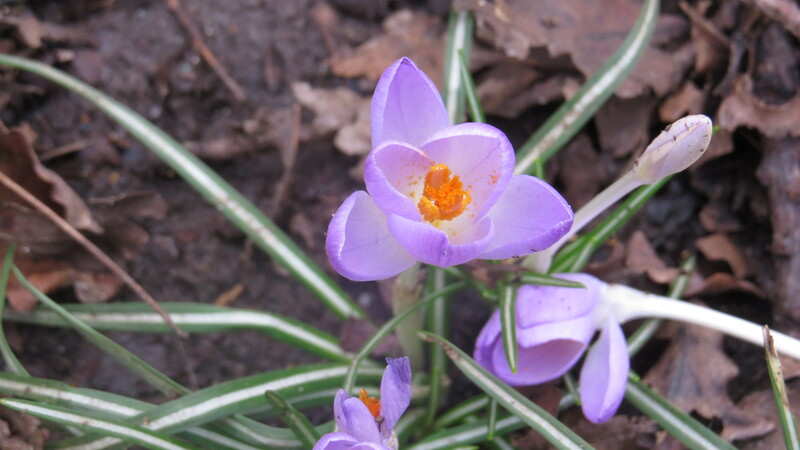 The Dutch or Spring Crocus (Crocus vernus) looks similar to the Early Crocus, but it has a mauve or purple ‘throat’ which is never lighter in colour than the flowers themselves. ‘Tommies’ are native to Bulgaria, Albania, Hungary and the former Yugoslavia, and were named for the botanist Muzio G. Spirito de Tommasini (1794-1879), who was Mayor of the city of Trieste. They are relatively late arrivals, first cultivated in 1847, and not recorded in the wild until 1963, although this may have been due to confusion with the Spring Crocus. The plant naturalises easily in lawns and churchyards, and there is a fine patch in St Pancras and Islington Cemetery, which has no doubt grown from a handful of bulbs planted on a grave. 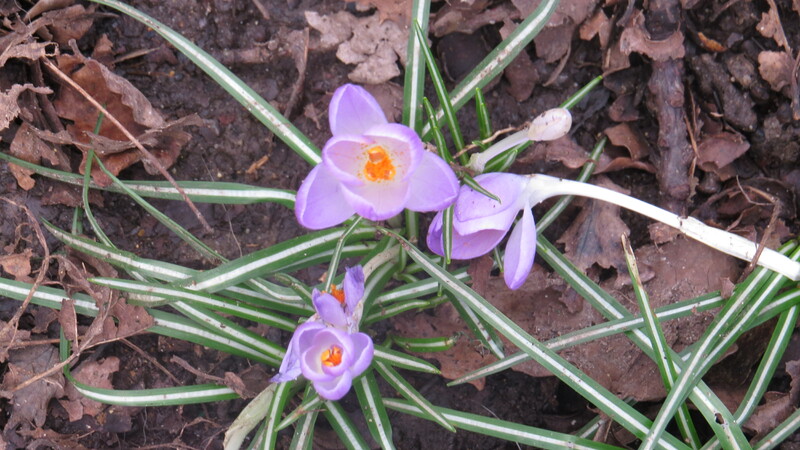 You might not think it to look at them, but crocuses (or, indeed croci) are part of the Iris family. The name is thought to derive from the Sanskrit word for ‘saffron’ (kunkuman) although it is the autumn crocus (Crocus sativus) that produces this spice, not these spring-flowering species. They do have the most intense yellow pollen, however, and you can see how the name has arisen. In Greek mythology, Crocus was a human youth in love with a nymph called Smilax. 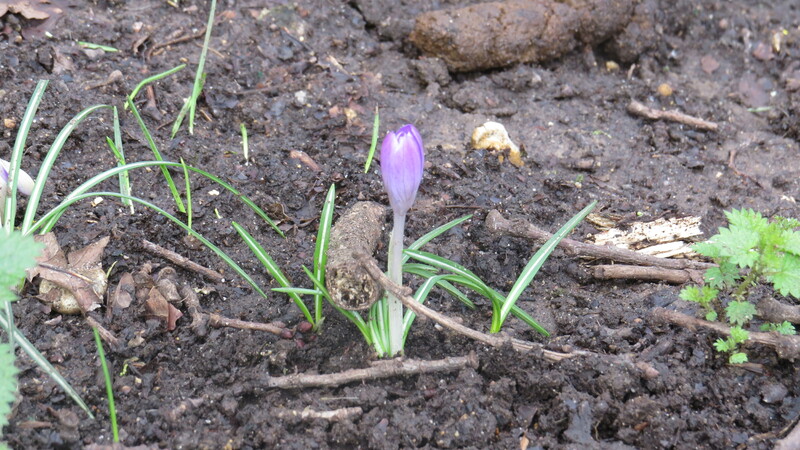 Apparently irritated by his audacity, the gods turned Crocus into, well, a crocus. Smilax was turned into either a yew tree or bindweed, depending on your source. The Greek gods were certainly a touchy bunch. 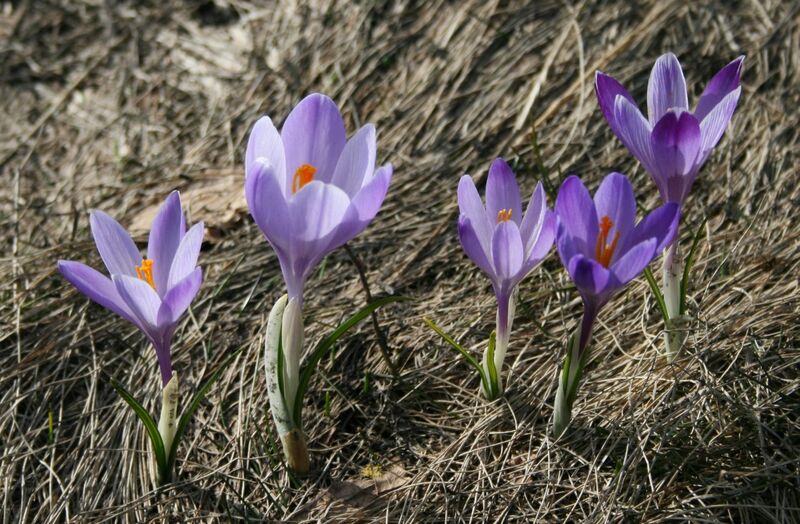 In the financial world, a ‘crocus’ is a company or sector which recovers quickly after an economic downturn. The waxy cuticle helps it to survive even when there is late frost or snow on the ground, so you can see how the comparison has developed. But, wait! I wonder if Mr Alexie has ever read Edna St. Vincent Millay’s poem ‘Spring’. I have to confess to loving this. It made me laugh out loud at the unexpectedness of the last few lines, for all their curmudgeonliness. And if Ms Millay were still alive, I think she would deserve her prize. Ruth Fainlight’s powerful, disturbing piece on crocuses would surely also be a contender for a new way to look at the plant. I hadn’t come across the poet before, but I shall certainly be reading more of her work. and the trucks are waiting. But perhaps there is much to be said for ending with a poem that was chalked on a blackboard at Des Moines High School for all the children to learn. 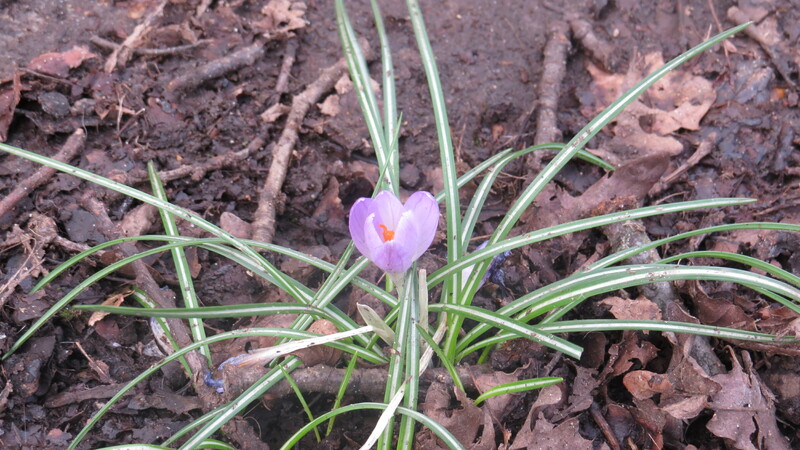 The sight of crocuses, for me, means that the world is still turning, in spite of all the things we are doing to it. The clock of the seasons ticks on, however erratically. This entry was posted in London Plants on February 10, 2016 by Bug Woman. They are so precious and beautiful especially poking their heads up through the snow. Go on, apply for those 100 dollars. 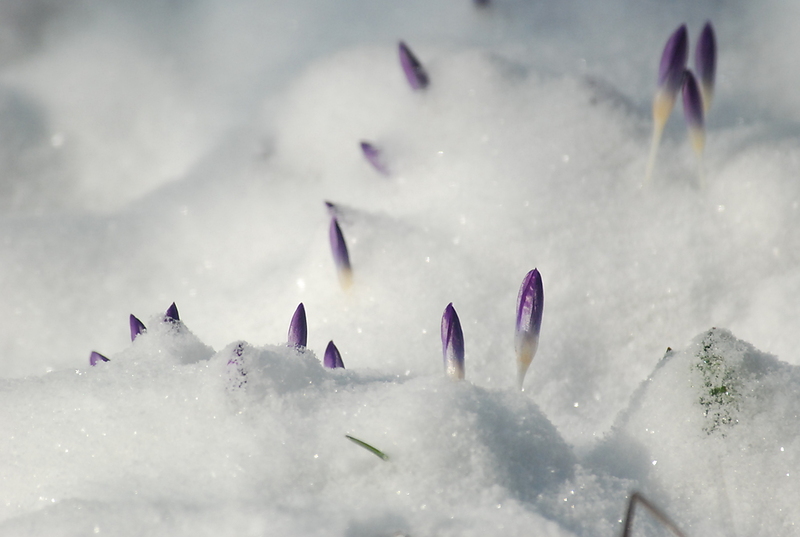 I bet at least one of your choices will be unknown to the crocus-poem-saturated editor. This one I’d love to photograph. They look so neat coming out of the snow. I like the poem! It’s a pity they are so short lived in flower, but when the sun shines and they are fully open they are spectacular…like the snowy shot too! I really like the Tommies – more delicate than the spring crocus, though anything that feeds the bees at this time of year is a bonus, I think.